Whether we write historicals or contemporary novels, research still plays an important part in the writing process. Today’s guest author Susan Page Davis shares just how important research can be! Enjoy! Research is a part of writing that I love. Sometimes it seems to go on and on, however—even after the manuscript is turned in. 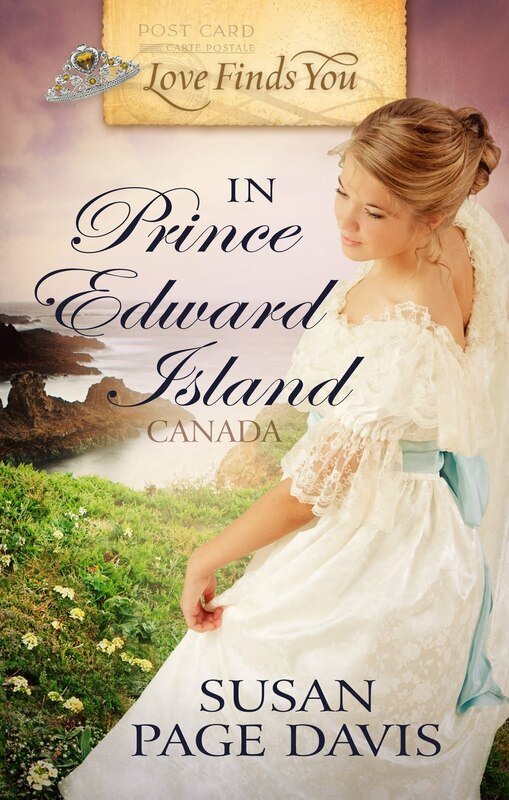 That happened with my April book, Love Finds You in Prince Edward Island. I read and researched for many hours before and during the writing of this book. I spent time at the provincial archives in Charlottetown, PEI, reading old newspaper accounts of the preparations for Prince Albert Edward’s visit to the island in 1860 and other historical sources. I loved every minute of it—and I thought I had everything straight. Now, I knew that PEI was a colony, not a province, in 1860. And I knew they didn’t join the Canadian Confederation until 1873. I also knew from my previous research that the building in question was called the Colonial Building during the years before PEI became a province. But I’d used the two names interchangeably in the book, and that wouldn’t have happened in 1860. So it was a simple matter of double checking, then searching and replacing “Province House” with “the Colonial Building,” but I’m sure if I hadn’t caught the mistake every Canadian who read the book would have howled in laughter. Another research emergency occurred when I had just started writing a book. The editor had given my synopsis to the art department so that they could work on the cover. In the synopsis, I’d mentioned the hero taking the heroine a bouquet of wildflowers. “What kind of flowers?” the art department wanted to know. So I had to drop what I was doing at the moment and research what kind of flowers were native to that location and would have grown there at that time of the year. Ah, research. It draws us on, into the land and the culture we want to portray to the reader. I love it. But I always wonder if I did quite enough! Susan Page Davis is the author of more than thirty published novels in the historical romance, mystery, and romantic suspense genres. She is a past winner of the Carol Award and Inspirational Readers’ Choice Award. The mother of six and grandmother of six, she and her husband Jim live in Kentucky. Whew! This week’s Scripture is a little longer than usual, isn’t it? You may need to read it through a few times. Paul is writing to the Corinthians. Prior to the above verses, he states that just as they excel in faith, speech, knowledge, and love, he encourages the Corinthians to also excel in giving. Of course he’s talking about sharing what they could physically to help someone else—crops, animals, money, etc. But if we take another look at this, I believe that we can also apply it to our writing. After all, if we are truly writing for the glory of God and not for ourselves, isn’t our work an offering to God and a gift to others? Isn’t it what we do to build, uplift, encourage, and teach both believers and non-believers? Sometimes we can mentally want to do the work … but not have the energy. Sometimes our hearts are filled with desire to do the work, but our creativity feels lacking. There are times when we can grow discouraged because we’re not as successful as fellow authors. Thinking that we’ll never be good enough—we’ll never measure up—might even make us feel like giving up. We do that to ourselves. God doesn’t. He doesn’t compare us to the author who lands on the best seller list, has more Twitter followers, or better book reviews. By design, God didn’t give each of us the same gifts. He loves us more than that. We’re each unique and special. He never expects us to do accomplish more than what we can with the tools he’s provided. What God asks is that we follow through and not only do the work, but that we complete it. As long as we’re willing and do the best we can with the ability given—our gift is acceptable in God’s eyes. How much better can it get? Read the following verse. "Let the words of my mouth and the meditation of my heart be acceptable in Your sight, O Lord, my strength and my Redeemer" (Psalm 19:14 NKJV). Now read it with a few words substituted. Let the words I write and the meditation of my heart be acceptable in Your sight, O Lord, my strength and my Redeemer. May this be our prayer…. Welcome to grammar day on Seriously Write. Ready to test your skills? The following sentences may contain grammar, punctuation, spelling, or other writing misdemeanors. Your job is to find the infraction and set it right. Try not to look at the answers below. 1) A beautiful ballad flowed from the radio, as I drove to my destination. No matter where the singer traveled, how much he acomplished, or how many people surrounded him he felt alone and acked to go home. 2) Maybe “home” is where you grew up. No matter how old we became, our parents may still ask, “When are you coming home”? 3) Maybe home is a “safe place to land” for you, family, and friends. A place where everyone can find warmth, comfort, encouragment, aceptance, and unconditonal love. It’s been said that “home is where the heart is” which means your true home is with the person or place you love most. 4) Everyone deserves to have a home. Whether its a mansion or a shack, a home should provide shelter and protection not only the elements, but the stress, struggles, and pain that can be expereinced in the outside world. 6) But, there’s also another kind of home to be found. One that we can live in today. “Jesus replied, “If anyone loves me, he will obey my teaching. My Father will love him, and we will come to him and make our home with him.” (John 14;23 NIV) We can find the truest sense of home—of being where were supposed to be—in our relatoinship with our Lord. 1) A beautiful ballad flowed from the radio as I drove to my destination. No matter where the singer traveled, how much he accomplished, or how many people surrounded him, he felt alone and ached to go home. Note: No comma is needed after radio. Note: There were two extra spaces between the first and second sentence in the incorrect set above. There should only be one space in-between sentences. 3) Maybe home is a “safe place to land” for you, family, and friends. A place where everyone can find warmth, comfort, encouragement, acceptance, and unconditional love. It’s been said that “home is where the heart is,” which means your true home is with the person or place you love most. 4) Everyone deserves to have a home. Whether it’s a mansion or a shack, a home should provide shelter and protection from not only the elements, but also the stress, struggles, and pain that can be experienced in the outside world. 5) As followers of Christ, we know that an eternal home is being prepared for us. 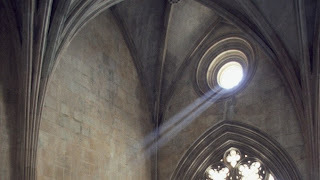 John 14:2 says, “In my Father's house are many rooms; if it were not so, I would have told you. I am going there to prepare a place for you” (NIV). Note: In the example above, quotation marks proceed and follow the quote. The period comes after the reference. 6) But, there’s also another kind of home to be found. One that we can live in today. “Jesus replied, ‘If anyone loves me, he will obey my teaching. My Father will love him, and we will come to him and make our home with him’” (John 14:23 NIV). We can find the truest sense of home—of being where we’re supposed to be—in our relationship with our Lord. Note: When a quote is contained within a quote it’s surround by single quotation marks. In this case, because the inside quote also ends the quote, both single and double quotation marks are used at the end of the sentence. Note: A colon, not a semi-colon, separates the Bible chapter and verse. The period follows the reference, not the quote. Like anyone else, I’m not perfect. I use The Chicago Manual of Style, The Christian Writers Manual of Style, and Webster’s Dictionary as my sources. Have you heard it? All the buzz lately of self-publishing in e-books and the craze that’s going on, turning publishing on its ear. Ask any writer, any publisher who’s in the know, and they’ll tell you “we don’t know exactly where this headed, but it’s going there fast.” But, what happens to quality control? Some of the authors opting to self-publish their own e-books are offering well-written works because they bring several years’ worth of writing prowess to the process. But with self-publishing there is no guarantee you’ll get quality, which is why self-publishing has been frowned upon for so long. Then, there are the breakouts who earn tens of thousands of dollars a month in e-book sales.They must be doing something right. One “safety net” of traditional publishing is that though the process is laborious and requires patience, established editors know what readers will buy. They know the standards required for your name to elicit a positive response in readers’ minds. Do you? On Tuesdays this month, we’ve been talking over the reasons we need editors. Here’s one of them—acquisitions editors have been around a while. They know what works and what doesn’t. They know the latest standards. For example, in fiction, point of view is key right now, specifically purist POV—one character’s head per scene or chapter. One. Not back and forth, which used to be acceptable. And not omniscient (an above-the-rest, birds-eye view of what people are thinking or feeling). If you send in a project that contains head-hopping or omniscient POV, you’re likely to get it rejected. So, what good does rejection do? It forces you back to the basics, back to making sure you have ALL your ducks in a row when it comes to writing. That’s what rejection has done for me. I go back to the basics. What did the contest judges mention over and over? What did my editor cite? What am I still not getting right? Time to bone up on that skill until I’ve got it. These are just examples of what editors at houses can offer. But if you do decide to self-publish, I still recommend having a freelancer look at your work. Better that than being embarrassed by things you didn’t catch. Remember, no one’s perfect. We’re here to help you look good, which sometimes means declining on a submission. We’re here to give readers what they want, which does include stepping outside the box every now and then. We’re here to keep the standards high to best serve readers. To sum up, editors are portals to publishing, and we need them. This Manuscript Monday, Rachelle Gardner has returned to share about writing queries. She sees plenty of these in her role as a literary agent, so you're guaranteed to pick up some useful intel. Read on! * A great query starts with a few sentences designed to make me want to read your book. To figure out how to do this, read the back-cover-copy or flap copy of your favorite books. The goal is not to give a detailed synopsis, but instead to write something interesting and informative enough that I want to read more. * Non-fiction: Include some information about yourself, specifically why YOU are the correct person to write this book. What are your qualifications? Are you a published author? What's the most important thing I need to know about your platform? Fiction: Don’t worry about platform. If you have commercially published fiction before, tell a bit about your publishing history. If not, don't worry about this part of the letter, just say you're a first-time novelist. * The letter should be no longer than the equivalent of one typewritten page, about 3 to 6 paragraphs (not including the sample pages). * This is a LETTER, not a book synopsis dropping into my inbox as if out of the sky. You are writing to an actual person. Therefore the query should be addressed to the recipient by name, and it should not only give your pitch and your personal information, it should ask for what you want (e.g. "I am seeking agency representation and would appreciate your consideration"). * Include the genre. Make sure you're clear on whether it's fiction or non-fiction to start with. Then within either of those two categories, list your genre. If you don't know about genres, please do some research and learn prior to querying. * Check the submission guidelines of each agent and/or publisher you're querying. Note that I require the first 3 to 5 pages of the manuscript pasted into the email. * Let me know if you are submitting to more than one agent simultaneously. * Let me know what's available if I should request more. A full book proposal? A completed manuscript? * No attachments, please, unless specifically requested. They will not be opened. * Please do NOT ask me to click on a link, such as a link to your website or blog. You should be able to tell me what I need to know in the 1-page query letter format. Your signature can include links to your blog or website, and if I find your query particularly interesting, I'll click on it. But DON'T rely on me clicking over to get the information I need. Put the info in your query! This article was used by permission. To see the original post, click here. To learn more about Rachelle, visit her blog here. Writers take different paths to publication. Some are successful, and some don’t turn out as well as hoped. This Fortifying Friday, author Roger Bruner is here to share a part of his journey to publication, and what he’d do differently. I think you’ll agree that he offers valuable advice. Now that one of my novels has come out and another will release in August, this year is one of the most exciting times in my life. I never expected my 65th year to be so special, and only God knows what lies ahead. So why “if I had it to do over”? To borrow the old John Kennedy saying, let me say this about that. When I unexpectedly ended up in an hourly job after three professional careers, I decided to pursue my post-retirement dream early: to write and publish a novel. My story seemed good, and basing my characters loosely on my wife and me was fun. The only writing book I owned was The Elements of Style, leftover from my college English days. Although I loved reading, novels had changed drastically without my noticing. Aware that publishing takes time, I was impatient to get my work out there for the world to see and enjoy. So I self-published with a reputable POD outfit and was thrilled with the results. My book listed on Amazon, and I thought I had it made. Wrong. Although several local bookstores stocked copies on consignment—I don’t think my books were responsible for those places going out of business—and had me do signings, few books sold. I was too interested in writing the next novel to “waste” time on marketing. I started going to Christian writers conferences. Hmm. Learned some things I hadn’t known. Bought some writing books. Oh? I should be doing a, b, and c and avoiding x, y, and z. Gee! Showed sample pages to published authors. Ugh! Everything I’d done in that POD-published book was wrong. No wonder it wasn’t selling. So I settled down to learn the craft of writing fiction. Not starting with backstory. Hooking the reader in the first sentence. Deleting unnecessary words and using beats instead of attributions in dialog. Writing dialog that only simulates real speech. So many things to learn. My biggest lesson? Good writing is a lifelong process. I’ll never stop learning or wanting to write better. I’ll never be satisfied. 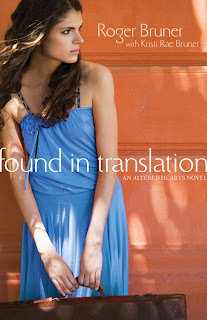 In 2006, Found in Translation won the first place novel competition at the Blue Ridge Conference. An editor from a company that didn’t publish novels loved it. Surely an offer would come from somewhere. I showed the first page to James Scott Bell. “You didn’t start with a scene.” Guess I hadn’t learned as much as I’d thought. But after cutting the first fifty pages and writing a new beginning, an editor who couldn’t use Found found me an agent, and the rest is history. So what about “if I had it to do over”? Bigger lessons learned. Self publishing is fine if you have a platform for selling. Be ready to market any published book—even if you don’t want to. Don’t be in such a rush to have your book published. Develop a thick skin and ask experts for help. Be yourself, but write your best. 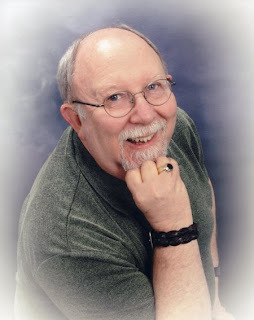 Roger Bruner worked as a teacher, job counselor, and programmer analyst before retiring to pursue his dream of writing Christian fiction full time. A guitarist and songwriter, he is active in his church's choir, praise team, and nursing home ministry. Roger also enjoys reading, web design, mission trips, photography, and spending time with his wonderful wife, Kathleen. In 1 Chronicles, we read that King David wanted to build a house as a place of rest for the ark of the covenant. The plans were designed, and the materials were chosen, according to God’s direction. Because David was a warrior and had shed blood, God didn’t want him to be in charge of the project. Instead, God chose Solomon, David’s son, to build the temple. David told his son to be “strong and courageous.” He assured Solomon that God wouldn’t fail him. God would be at his side until the temple was successfully completed. Solomon only needed to show up and do the work. God could have blinked and created a grand temple without Solomon having to crawl out of bed in the morning. But, that would have taken away the opportunity for Solomon to learn, grow, reap the rewards of a job well done—and honor God in the process. Psalm 128:2 says, “You will eat the fruit of your labor; blessings and prosperity will be yours” (NIV). Our heavenly Father desires that we enjoy the fruits of our labor—the operative word here is labor. We’re expected to work for them. If we’re called to write for the glory of the kingdom—sharing God’s grace, mercy, and love—in whatever format or genre, we still need to study the craft, and write, write, write. God won’t leave us. He’ll remain at our side, providing ideas, resources, energy, and encouragement. We don’t need to be afraid. Hey everyone, Annette here. Welcome to Grammar-O Wednesday. The following sentences have grammatical errors (spelling, punctuation, word choice, etc.). Your assignment is to catch all the errors. Try not to look at the answers below. Have fun! Im by no means a perfect editor. Who is? I no of some editors who evan list on their Web sites that they are imperfect. we’re human. Even editors make misteaks. Their’s a word game I enjoy which helps me really analize words. And I discover new words, too. Like lodes. Who new? Loads, I’d heard of. But not lodes, until recently. Sometimes as an editor I’ve guessed wrong. Yardwork isn’t one word. But back yard is. At our McCrit group, I miss my wordprocessing program because I rely on it to help me know if the two words should be one. Last time I guested on Grammar-O day, I wined about the whether. Guess what? We’re still in the 40s here most days. I know I’m not the only won praying for warmer temps, with plenty of sunshine. Bring. It. On. I’m by no means a perfect editor. Who is? I know of some editors who even list on their websites that they are imperfect. We’re human. Even editors make mistakes. There’s a word game I enjoy which helps me really analyze words. And I discover new words too. Like lodes. Who knew? I’d heard of loads, but not lodes. Until recently. Sometimes as an editor, I’ve guessed wrong. Yard work isn’t one word. But backyard is. At our McCrit group, I miss my word-processing program because I rely on it to help me know if the two words should be one. Going pretty near the speed limit (okay, maybe a touch over *wink*), I peeked in the rearview mirror. Why was the driver behind me riding my tail? And where was a member of law enforcement? There’s security knowing there could be an officer around the next curve ready to cite the driver harassing me. As writers, we can trust there are editors ready to help apprehend content crooks in our writing. Let me explain. First of all, it’s not personal. We’re watching for content errors, not opportunities to nitpick. As a reader, I can recall feeling dissatisfied with the conclusion of some stories at times because the threads I was closely watching didn’t get resolved. 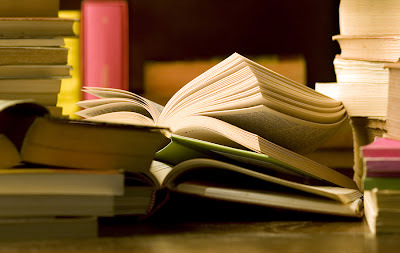 Dissatisfied readers may not pick up your books again. Editors want to keep that from happening. Crit groups generally see your story over time. In our group, we exchange a chapter per meeting. So, any given novel can take several months to get through. Give any reader a copy of your novel and have them read only one chapter a week—it’s quite possible they’ll miss content snafus. But editors get a copy of the entire manuscript before them. They can read it in one or two sittings and see it like a reader would. They watch all the threads weave through and make suggestions for bettering the story. As a writer, I’ve been grateful for that. In nonfiction, editors can catch the logic leaps (not that this doesn’t happen in fiction, cuz it does *wink*) or flow issues. Content cops are on your side! We want you to succeed. Do you read the acknowledgement page(s) first or last when you read a book? I read them first. I like discovering who helped and how they helped. Do you know what I so often see? “Thank you to my editor whose suggestions helped make the story so much better than its original state.” I’m guessing the writer isn’t speaking of grammar here. We make the world of books a better place. Editors are content cops. Please keep in mind, we’re story-minded—like you, but with an editorial bent. When we make suggestions, we’re gearing toward reader satisfaction. If readers enjoy your book, they’ll look for your name again and again. They’ll watch for your next book’s release with great anticipation. That’s what you want. And editors (freelance or publisher employed) can help you get there. Keep in mind you’re building a reputation for your name as an author. And if you step out of line, we editors will discreetly cite you and then send you on your way with suggestions. *smile* We’re all in this together. The writer in me likes the inherent security in that truth. The editor in me knows it’s a high calling, chockfull of responsibility. Together we make a formidable team, don’t you think? Happy Manuscript Monday everyone! Annette here. We're glad to welcome agent Rachelle Gardner (pronounced Rah-shell) this week. Over the next couple of weeks, she'll be sharing some insider information, some tips, and encouragement. Have you ever felt stifled by writing rules? I have. Read on to learn some tips for overcoming rules paralysis. If you’ve been studying the craft of writing for long, you’ve heard all the “rules.” You know you’re supposed to show not tell, use active not passive verbs, eschew adverbs, maintain consistent POVs, avoid repetition, and all the rest. But it’s easy to get too caught up in the rules and get frustrated at trying so hard to follow them that you find your creativity stunted. In addition, some writers are actively resentful about the rules, feeling like the Writing Establishment is trying to keep everyone in a little box and not allow writers’ artistic visions to shine through. I just want to share a few thoughts about writing rules. First, they’re not meant to be slavishly followed. They’re meant to be thoughtfully considered and used when appropriate. Second, the time to apply “writing rules” is usually not in your first draft. That’s when creativity reigns. Only think about the rules in your revision process. Writing is more a creative, right-brain process. Editing and applying rules is more a left-brain process. Try not to get your brain too confused by doing both at once. Third and most important, writing is not ABOUT the rules. The rules are just TOOLS to help you write effectively. The goal in writing is to engage your reader, draw them in, make them want to keep turning the pages, whether you’re telling them a story or giving them information. So writing rules are simply the means of helping you do that. The only time “rules” ever come into play is when you or your editor recognize that something’s not working. Maybe the book is getting boring, the characters don’t feel believable, the arguments in your nonfiction work are falling flat, the reader isn’t engaged. It’s pretty easy to identify what’s wrong. However, figuring out how to fix it—that’s where the rules come in. Rules are a means of identifying how to fix a problem so that the reader remains engaged. The only reason to maintain consistent and strong POVs is to keep your reader deeply involved with your characters. The reason to show not tell is to keep your reader’s imagination active, keep your story alive and visual in their mind. Each of the rules serves a purpose—it’s a tool to help you create a written work others want to read. So whenever you get frustrated by the rules, or can’t figure out why or if you should follow a rule or break it, go back to the reasons behind the rules and ask yourself: Does following this rule strengthen my work? Can adhering to a rule make my manuscript more readable and enjoyable? Do I know enough about the reasons for the rules to effectively break them? By going back to the purpose of writing rules, you can save yourself frustration, and focus instead on the goal: powerful and engaging writing that people want to read. * Article used by permission. Originally posted on Rachelle's CBA Ramblings blog. To learn more about Rachelle, read her submission guidelines, etc., visit her blog. Have you ever wondered if you're qualified to write and be published? Guest author Laurie Kingery wants to help dispel your doubts. Thanks, Laurie, for joining us today and sharing a part of your writing journey. Do you have the desire to write? Did you ever hold back because you don't have a college degree in English literature or American history, because you've never been a journalist? I have or have been none of those things—I'm an E.R. nurse--and I recently finished my twenty-first published book, and I sold the first book I submitted, DEFIANT HEART, back in 1987 when I was writing historical romance as Laurie Grant. Don't envy me for that, because I've had a few years-long droughts where I couldn't sell a paragraph. I just don't want you to think you can't be a published author just because you don't have a lot of initials after your name or work in a writing field. The qualifications that I have are qualifications you can have too, if you're willing to make some sacrifices, even if it's as simple a sacrifice of choosing one activity over another. I believe it's necessary for a writer to have a love of reading. You gain a facility with the language and a large vocabulary in no other way. You absorb correct grammar and punctuation much more easily than being taught it in school. You learn what works in a plot and what doesn't. You learn genres and eras you like, and what it is in a plot that makes that book memorable to you forever. Secondly, simple as it may sound, you have to love to write, and be willing to write even when you aren't inspired. It's lovely when you are, of course—the hours pass like minutes--but you can't wait for it. You have to be willing to write even when you'd rather watch TV/go shopping/sleep/talk on the phone/play on the Internet—name your particular weakness/es. You may have to write when your family doesn't believe in you, especially before you've sold something. You have to be fascinated, with the subject you write about. If you choose to write about something only because it is selling, your lack of passion will show. I write about Texas history because, as a native Texan, I find it fascinating. I write about the Hill Country because it's the terrain that calls to my soul. You may not care about Texas, but find the era or the place or the profession you do care about and make it your own. And finally, you have to protect the work, as famous author Susan Elizabeth Phillips says. I have only a limited amount of time every day to write, and that does not leave time to serve as an officer of the writing organizations writers belong to. I am deeply grateful to those who can do both, especially those who make American Christian Fiction Writers, ACFW, the wonderful group that it is. For now, I have to choose writing. I'm hoping I have more time to give back when I retire from nursing and only have one job, writing. Laurie Kingery is an Ohio author who writes for inspirational historicals for Steeple Hill. She won the National Reviewers' Choice award for historical romance in 1994 (writing as Laurie Grant) and has been nominated for Best First Historical Romance and Career Achievement in western romance by Romantic Times, and was a finalist in the Carol Awards by American Christian Fiction Writers in 2010. Her current series is called "Brides of Simpson Creek," set in the Hill Country of Texas. Her next release from Love Inspired Historicals after THE SHERIFF'S SWEETHEART is THE RANCHER'S COURTSHIP in mid-November 2011. It’s been one of those weeks—no, I take that back—it’s been two of those weeks. Most of us have them at one point or another. We begin to feel overwhelmed because it feels like there are so many things to do, and not enough time to get them all done. Feeling overwhelmed is partly my fault. I’m not a last minute person, and so for me to feel on top of things, I need to be ahead of schedule. As writers, we’re daily faced with trying to take care of our children and give our spouses the time they deserve—not to mention the laundry, shopping, cooking, volunteer responsibilities, errands, and day jobs outside the home. We’re supposed to create balance in our lives, which includes personal time and time with the Lord, while accomplishing all the many tasks assigned us. But … have you noticed … I have yet to even include spending time writing? As writers, time isn’t only spent at the computer fleshing out characters for our latest novel. This career also involves researching, marketing, networking, developing a platform, speaking, blogging, attending conferences, submitting work, answering e-mail, attending writers meetings, critiquing for other writers, and reading books on craft—as well as those written in our genre. No wonder we can feel overwhelmed! We don’t have to feel anxious. Instead of trying to do everything on our own—we can trust God to work things out in good time. Then we can let go of our desire to control, and we can accept the peace that transcends all understanding … God’s peace. 1) Isn’t the five senses of touch, taste sight, hearing, and smell fabulous? To often we take them for granted. 2) During the summer I enjoy working in the yard, digging in soil warmed by the sun, and inhaling the pleasent earthy scent. 3) The breeze carries the fresh and slightly sweet fragrance of blooming flowers. Some times, the tempting aroma of meat being cooked on a barbegue drifts through the neighborhood, turning our thoughts and stomaches to food. 4) In writing, it’s important to include the sense of smell. Scents have the ability to invoke memories and feelings. 5) For example, think of the following smells; cinamon rolls baking, turkey roosting in the oven, chocolate chip cookies fresh out of the oven, a thunderstorm brewing in the air, and fresh pine bows brought into the home. 6) Concider the scent of a wet dog, sour milk, rotten eggs, or sewage. They’re affects are usually more negative than pleasant. 7) People have various concepts of how heaven will look. But, have you ever wondered about the cents you’ll experience? To breath them could be amazing! 1) Aren’t the five senses of touch, taste, sight, hearing, and smell fabulous? Too often we take them for granted. 2) During the summer, I enjoy working in the yard, digging in soil warmed by the sun, and inhaling the pleasant, earthy scent. 3) The breeze carries the fresh and slightly sweet fragrance of blooming flowers. Sometimes, the tempting aroma of meat cooking on a barbeque drifts through the neighborhood, turning our thoughts and stomachs to food. Note: Using “being cooked” is okay, but using “cooking” is better. 4) In writing, it’s important to include the sense of smell. Scents have the ability to evoke memories and feelings. 5) For example, think of the following smells: cinnamon rolls baking, turkey roasting in the oven, chocolate chip cookies fresh out of the oven, a thunderstorm brewing in the air, and fresh pine boughs brought into the home. 6) Consider the scent of a wet dog, sour milk, rotten eggs, or sewage. Their effects are usually more negative than pleasant. 7) People have various concepts of how heaven will look. But, have you ever wondered about the scents you’ll experience? To breathe them could be amazing!